The Elder Scrolls never foresaw this coming — Monopoly, the classic property-trading board game, is getting a special Skyrim-themed edition, due March 2017. 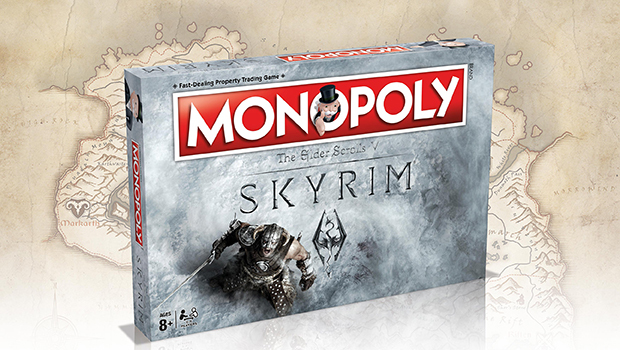 Skyrim Monopoly is available for pre-order via Merchoid for $47.99 and will be available in retail in March 2017. For a 5-year-old game, Skyrim has made a surprising number of headlines recently, including the announcement of an HD re-release due Oct. 28 and its use in the reveal trailer for Nintendo’s new console, the Nintendo Switch.